Venezuela: is it a good option not using the dollar? Leaving the dollar behind may be a way to face the sanctions of the United States. But how much will it cost to Venezuela the adjustment? This is because several Venezuelan institutions have suffered closure of their accounts abroad because they are potentially risky in terms of money laundering obtained due to corruption. In addition to a growing number of trade sanctions by the United States, it continues to be necessary to reduce dependence on its monad. 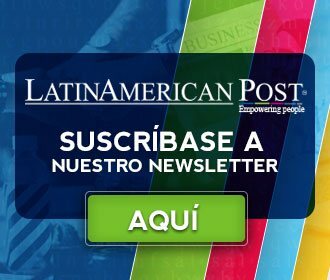 Leer en español: Adiós al dólar: ¿Dejar de usarlo es una buena opción para Venezuela? However, in an economy that is facing hyperinflation for almost a year, it is difficult to stop using the US currency from one day to the next. On the contrary, the economy is dollarizing informally, every day more goods and services are traded in the Venezuelan economy in the US currency. Also read: What are the new economic sanctions of the United States against Venezuela? On the other hand, since the mid-twentieth century, after the Second World War, specifically with the Bretton Woods agreement, the dollar indisputably became the reference currency of the world economy. In this way and to this day, the dollar has become the main international currency, both for reserves, commercial exchanges and other financial transactions. Unlike what is believed and the efforts of several countries to change this situation, the dollar is still the currency most used in the world. According to the last triennial report of the Bank for International Settlements (BIS) for 2016, 88% of transactions worldwide are made in dollars. Meanwhile, the euro was the second dominant currency in the world currency market when used in 31% of transactions, followed by the Japanese Yen with 22%, the pound sterling 13%, among others. Although with respect to the previous report of the BIS, the US dollar lost some ground going from 90% to 88% and the Chinese yuan gained some of it, going from 1% to 4%. Without a doubt, the US dollar is by far the currency that dominates global transactions. Professor Steve Hanke explains in an interview with the BBC, that "since most of the basic goods are traded in dollars, then using another currency for their purchase or sale would involve several currency changes, which would increase their cost." This being one of the main disadvantages of using currencies other than the dollar to carry out commercial transactions. Although several countries, such as China, Iran or Venezuela, intend to stop using the dollar as a trade currency due to the tensions these countries have with the United States, most countries in international markets are not willing to assume these high costs. On the other hand, Venezuela is presented with the difficulty that 96% of the currencies it receives in the international market, is the product of oil exports and this is traded in international markets in dollars, beyond other types of exchanges. what the South American nation could do, the dollar's weight is indisputable. Then it will be seen how Venezuela will try to trade its main product in a market dominated by the dollar. Translated from "Ante las sanciones: ¿Dejar de usar el dólar es una buena opción para Venezuela?"